I’d love to see a new chapter in the Phantasy Star series. I want to see the series go back to its roots. A Followup to Outrun 2 would be pretty awesome too. I loved the game in the arcade and on PS2, and i was sad that America missed out on Online Arcade on PS3. Seconded — I’d like to see them give Reiko Kodama something decent to work on. Preferably a return to character driven, mature plot, single player role playing. I love how the original series mixed a bright veneer with a dark subplot, but didn’t have brooding, self conflicted characters like Evangelion’s Shinji mucking it up with their adolescent nonsense. Candidly speaking Shenmue 1 and 2 were the ones I’ve pleaded and begged for the longest. Outside of that, much of what I like has been ported, rereleased or made backwards compatible to some extent on modern console systems. Maybe Skies of Arcadia? TBF though what would make me more excited is a sequel with revamped gameplay. I’m thinking something along the lines valkyria chronicles in terms of scale. Maybe they’ll do a spinoff or make a new IP with the classic Phantasy star in mind. That’s a really good one. Something localized to the West. Dragon Force, Panzer Dragoon, Fighters Mega Mix, Skies of Arcadia, Streets of Rage, Thunder Force, Shinobi, Altered Beast and Virtual On. And yes, OutRun, and Panzer Dragoon really deserve resurrections and would do well in today’s digital market imo. Ya’ll honestly need to get your bias out of the gutter when it comes to the what we have for the Shining series now. It’s fine to prefer it over what we have now. Which one someone thinks is better is all a matter of preferance. But to describe it as “whatever we have now” is so petty. Grow up. Totally agree with Nero about the Shining series. As a person who finds the new game to be interesting (and yes, I like the original games and finished all of them), it was very unpleasent to read “whatever we have now”. I think you need to stop assuming that I dislike all the new Shining games. What I meant by that comment is that it’s been rather unfocused as a franchise. It’s all over the place. I love the Shining Soul games for example but you compare them to EXE or Resonance and it’s all complete different. They even have a Shining fighting game. That’s what I meant. I wasn’t being negative. While its true that the franchise has always had side games, it always had a focused direction at least with the ‘Shining Force’ titles and team behind it. Thats all. Never once did I say you disliked anything. Having a preference over something doesn’t automatically mean you dislike the other. But the fact that you responded they way did, in such a defensive manner proves the best words were not chosen in those parenthesis. So again, choose your words carefully. Just apologize, realize the mistake that was made, & move on. 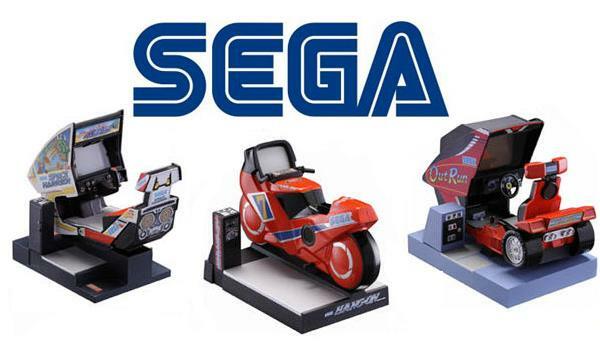 We’re all SEGA fans here & whether we jumped into the series like from the classics series or the ones we have now, they were both brought to us from the same blue logo. It depends on the Shining game. The franchise has a number of sub-series: strategy, action and traditional first-person RPGs. There is plenty of room for different types of play styles to suit different preferences. Each sub series has its own naming convention. Shining Force for strategy, shorter names for action RPGs such as Shining Wisdom or Shining Resonance, longer titles for the traditional style such as Shining in the Darkness and Shining the Holy Ark. The current game has a title that suits the sub series. However, SEGA committed a faux pas when they put the word “Force” in the title of an action RPG on the PS2, and given the reverence and respect the strategy RPGs have earned, that is something that should never be done. OK, Shining Wisdom isn’t a shorter title than Shining Wisdom. I goofed. But you see the pattern for the naming conventions. Not shorter than Shining Force. I’ll get this straight yet. Altered Beast. I think there’s a lot they can do with the game, if they make a more robust levels, adding new beast transformations, but at the same time sticking with its 2D arcade roots. They made PROJECT ALTERED BEAST on ps2. Which is a fun game. But, only released in Japan. Since Sakura Wars is already coming back, definitely Panzer Dragoon. Gain Ground, Panzer Dragoon, Comix Zone (imagine a hand drawn HD version….oh man). Maybe a Puyo Puyo Columns…which admittedly wouldn’t be a whole lot different but it’d be cool. Skies of Arcadia of course. I have a real soft spot for both Kid Chameleon and Vectorman as well, but Kid Chameleon is just too much like Mario and Vectorman is kind of a relic (a fairly standard action game mostly held up by amazing graphics for the time and a charming main character). Ecco the Dolphin – A hybrid of the classic gameplay and the newer Dreamcast stuff. I’m thinking a free-roaming 3D world, with trenches, caves, underwater structures, etc. that can be entered which change the gameplay to 2D. Shinobi – Keep it similar to the classic Genesis games, but add some stylish gore to the game. It could utilize the cutting system from Metal Gear Rising so that you could slice enemies apart from wherever your blade connects. Vectorman – I’d love to see a sequel to the first two games. No reboot or anything, just a continuation of the formula from before. Electronic dance music, some cool new weapon pick-ups and transformations, and a wicked new set of villains to fight. For me personally, I’d love SEGA to give Jet Set Radio Future, Skies of Arcadia, and Anarchy Reigns a second chance on PC. I’m somewhat interested in seeing a modern Streets of Rage (maybe developed by PlatinumGames). God Hand, I feel, is the closest game we have to that. fire emblem has had a lot of success, so i don`t think there would be no market for it. people who like fire emblem and don`t know shining force from the past would check it out, or? and shining force has the extra rpg elements that fire emblem doesn`t have with walking around a map and visiting towns. We want Skies of arcadia comme-back!!! Jet Set Radio, Phantasy Star, Super Monkey Ball (for the Switch could be fun), Sakura Wars, Ecco, a new MadWorld/Max Anarchy game, and I feel Virtua Fighter could use a new game too. Step aside, Step aaide coming trough. a new chapter in the Phantasy Star series will be exciting to see, waiting for it. It would only excite me if Sega does a really good job with the franchise revival. I don’t exactly trust Sega to be competent though considering some recent decisions. Beware the monkey’s paw. I would love to see re-released or re-made the Shining Force 3 game! It was my favorite game ever! Virtua Fighter and Virtua Tennis. Either of them would make me fuzzy inside. It is hard to pick one, especially when Sega has tons of one-hit-wonders in their back catalog, but I guess my top 3 choices lately would be Comix Zone, Fighting Vipers, and Burning Rangers, all some of my favorite of Sega’s one-hit-wonders. The Sega fanboy in me wants a new “Altered Beast,” “Ecco The Dolphin,” and “Vectorman 3,” but, I know that a modernized “Streets of Rage” reboot would sell far better. Also, “Shining Force IV,” would probably be another safe bet (if they hire/work with the original developer, Camelot Software Group, that is). As far as newer IPs, I think “Jet Set Radio 3,” & “Skies of Arcadia 2,” is what most gamers have been wanting (besides Shenmue III). Just my two cents. Fighting Vipers. We need more Fighting Vipers. That was my favorite Saturn fighter (until Megamix released, but even it is more Vipers than VF). I bet a modern Fighting Vipers game could break into the market and attract the Tekken, Virtua Fighter, and DOA players. I agree, but on the FIghter’s Megamix front. I still believe that the mascot fighter is Sega’s creation, but was popularized by Nintendo. It’s too bad that Sega let over the top fighters like FV and FMM go. I’d welcome a Camelot Shining …Force 4 or Darkness/Holy ark dungeon crawler or Mania style celebration like the SFIII Premium Disk but the rebooted series in it’s current state gives back what you invest in it. It’s story line/theme ties to the original are stronger than given credit and has some really good recurring characters and once tony taka’s art connects with you your sold into it’s OWN world! there seems to be a lot of ignorance regarding what’s what with Shining – 2 decades on from the final Camelot title and many many games later and people still unnecessarily stuck in the past. Skies of Arcadia all the way!!! Played both Dreamcast & Gamecube versions. Have such fond memories. It really felt like you were part of a grand adventure 🙂 Still my all time favourite game to this day. Rad Mobile, Galaxy Force, Space Harrier, a new Phantasy Star Online for the both East and West market, OutRun, Fighting Vipers (or a new Fighting Megamix), a new All-star Racers, and a game that merges the worlds of Shenmue and Yakuza. Definitely Binary Domain, although if we’re going to be very VERY obscure, then Westone’s unreleased title Tokei Jikake no Aquario. 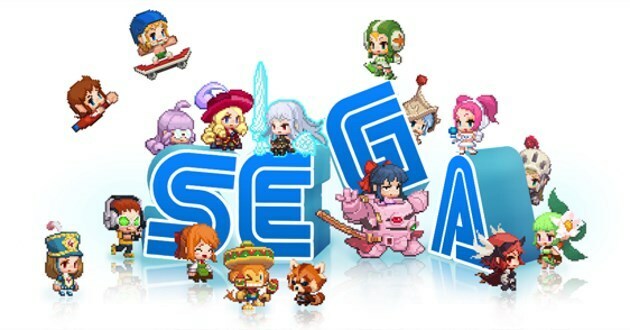 If SEGA originally had the rights to it, then I would love to see it on their new SEGA AGES M2 line up on the Switch. Pretty much another “Monster World 4” scenario, only the game was never released in this case. After the purchase of Atlus, SEGA said they would like to make more role-playing games. I hope they didn’t mean to rely solely on Atlus. In the light of their comment, I would like to see Panzer Dragoon RPGs, Shining Force (the strategy series), Skies of Arcadia, Dragon Force and single-player Phantasy Star. WONDERBOY 3 was the answer to Nintendo’s Zelda 2. And it was the most Beautifull 8bit pixel art production. The First Metroid Vania with games kije Metroid. Mixing action RPG game and Plateforming. The remake is a huge success and it will come out again in a physical version. Like Shenmue 3 it is a licence dropped by SEGA and stolen by outside independant developpers . Magical Taluluto (AMAZING colourful game with beautyful sprites.) way better than SNES version! Virtua Fighter 32X/ After Burner arcade perfect 32x. Give Rieko Kodama a single-player, offline, non-MMO-like, RPG, like a Phantasy Star (maybe set in Algol) or Skies of Arcadia. Other franchises that could come back: Ristar, Virtua Fighter (it’s time), Eternal Champions (perhaps being behind the Eternal Successors project), Vectorman (not that abomination that would come out for PS2, though), strategy Shining, Oasis (from Beyond and Legend of Oasis), Shinobi and Golden Axe (it could be God of War-like). Other franchises seem outdated now and don’t seem to be able to offer much without significant change.